Jerry Denehy first volunteered for Bur Oak Land Trust approximately two years ago when he was looking for projects to be involved with after retirement. 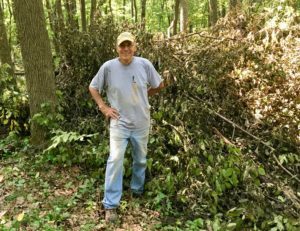 Since he often hiked and enjoyed Bur Oak Land Trust properties in the past, it seemed important for him to be able to help out so others could also enjoy nature now and in the future. 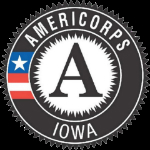 When not volunteering with Bur Oak Land Trust, Jerry enjoys anything involving the out of doors that Iowa offers, including bicycling, hiking, cross country skiing, canoeing, geocaching, and photography. Last year he was fortunate to be involved with the Master Naturalist program, which furthered his interest in nature and encouraged him to do more volunteering. Jerry really enjoys volunteering with Bur Oak Land Trust, and it has presented him with a variety of activities, including burning prairies, eliminating invasive plants, removing scrub trees to open up forest areas, and searching for endangered bumble bees (to name a few). Through his interactions with other volunteers, he finds volunteering is also an opportunity to learn from others who are more experienced in nature. He also thinks it’s a great way to be outside and get some exercise.